It’s October and fall is in full-swing! 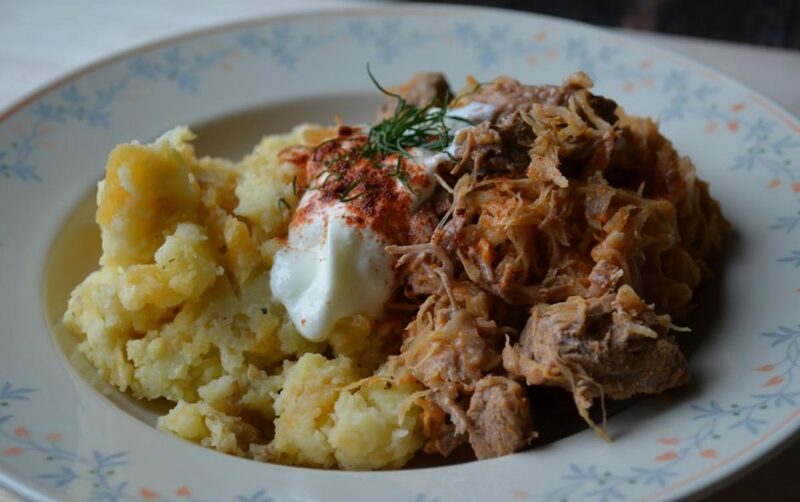 Edie loves to cook, and she wanted to share her favorite fall dish with all of you: Hungarian Szekely Goulash. It’s rich, warm, and flavorful; perfect for a chilly day with your loved ones. Brown the pork, onions, and bell pepper in a large pan. Season with S&P and add Caraway seeds. Reduce heat, cover and simmer for 2 hours, stir occasionally. Cook until pork is nice & soft; add water if needed. 20 minutes before goulash is done, stir in sour cream and paprika. Do not allow the goulash to boil at this point.